By profession, SEOs should be data-driven digital experts. 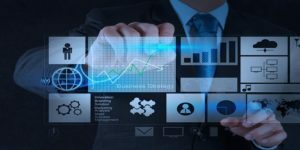 But with so much data – and so little time – it can be challenging to keep yourself relevant in an industry that changes, sometimes hourly. GSC will be shutting down the old API. Google added new Activity Cards for mobile in the SERPS. Are you considering AMP now that they’re testing highlighting answers on AMP results? Were you aware of the newest addition to Google’s Link Scheme Guidelines? The following is my agency’s foolproof plan to ensure that our team stays up-to-date. It ensures optimal career growth for SEOs and the best results for our clients. A. If every team member participates and owns 3-5 resources, a team of 5-7 can own the market on SEO news. This allows the team to get very niche specific and learn collectively. B. Getting a group of SEOs in a room, talking through breaking news will spark magic. A useful strategy will be born and likely relevant to multiple clients. C. This approach allows people to learn from their favorite medium. Prefer to listen to podcasts? Watch YouTube? Allow everyone to suggest their favorite ways to learn and find resources that add to the teams’ growth. Here is an example of the resource sheet our team uses every week. Every person has resources they’ve claimed, then every week they fill in the specifics (if they have new content relevant to our clients), so we can get in the room and review. Whether it is for several days or even for one, conferences are a great way to hear from experts in the industry to network and to take a day to soak in all the latest and greatest in SEO. With a larger team, it might not be possible to take the everyone to a conference; however, there are digital solutions. For example, every year our office books the largest conference room and live streams the TechSEO Boost Conference – it’s even better because we get our development team to join – and we know how important those people are to SEO success! A. Does the team agree with the strategies and tactics discussed in the webinar? B. From the webinar, what have people tested, what are they seeing working or not working? What tests can we run for our clients to validate results? C. Was there anything discussed that was successful or not for their client? Anything that should be implemented across all accounts? D. More than likely the team will hear about new tool capabilities. Does the team’s current toolset allow the client to see the best organic performance? Education does not end with onboarding. Every week our team meeting covers many topics from internal announcements and delegating tasks to shared learnings. Sharing case studies, the newest tactics or optimization that has seen success or the latest SEO Chrome extension is helpful. Having everyone in the room to discuss the latest and greatest in the SERPs is a great way to take collective learnings and ensure that all clients see the same success. When one client wins, they all win. Continued learning is so integral in this industry that we make it part of our onboarding process. 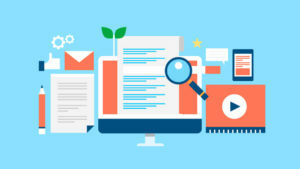 While we require training for our proprietary SEO tool, we also require our SEOs are Google Analytics certified, trained in Google (and Bing) Search Console and experts in various SEO tools. Additionally, we strongly recommend (but certainly do not require) that they participate in certain Facebook groups, Reddit communities and follow certain key figures on Twitter and LinkedIn. Possibly the most valuable continuing education group for our team is Ahrefs Insiders. Finding a group of ~8,000 industry experts that continue to add strategic value – as well as continuing to highlight how team members can utilize tools – is essential for team growth and client success. The new Verna is already on sale in Russia where it’s known as the Solaris. It’s a new car altogether, but you do get a glimpse of the old generation from certain angles, especially the front. The Verna is now equipped with LED DRLs, projector headlamps and fog lamps and the new cascading grille.From the side and the rear, its looks are more in line with the Elantra now. The new platform is the reason for the increase in length, which also makes it look more mature than the outgoing model. At 1729mm, the new Verna is wider than the previous generation by 29mm. Its wheelbase is also longer by 30mm. 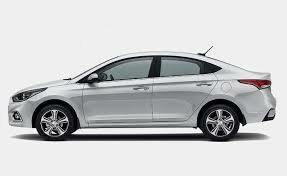 The height remains the same at 1475mm, but the new Verna appears to have a more raked roof than before. The tail lamp that’s similar to the Elantra and features LED elements is the design highlight of the package. The centre console, as is the case with most modern and premium cars, is driver-oriented. All controls are within easy reach. The AVN is a capacitive touchscreen, not resistive, so it’s very responsive, just like the screen of your smartphone. The car’s multimedia system is equipped with Apple Carplay, Android Auto and MirrorLink. The front seating area has very good space; the top-end variant we drove gets cooled seats, which is an amazing feature for Indian summers. The rear seating area, however, is not the best in segment, and tall people won’t be able to lounge around and relax. The rear has an AC though, and the seats provide decent support. It’s loaded with technology. A feature we love is the Smart Trunk – just stand behind the trunk with the key in your pocket for three seconds, and the trunk will automatically open. It’s a feature usually found in very expensive cars. Then there is the Eco Coating technology that, the company says, prevents unpleasant odours to develop in the AC evaporator. Hyundai has introduced a connected car app with the new Verna, called Auto Link. It displays vehicle health, driving information, roadside assistance, driving history, eco driving behaviour and more on your smartphone screen. It’s a welcome new app and must be introduced for all Hyundai cars. The new Verna draws power from the existing 1.6-litre petrol and diesel engines. On paper, both the engines lead the segment in terms of outright power. The petrol engine makes 123PS while the diesel churns out 128PS. Both the engines are available with a manual and automatic transmission. The diesel engine now puts out more torque at a lower rpm, which makes it linger around city speeds with relative ease. While acceleration is noticeably quicker when the engine revs touch 1700-1800rpm, the engine isn’t really dead below that as well. The petrol engine is undeniably quieter than the two and Hyundai says that almost 130Nm of the torque comes in at around 1500rpm. The max torque that this engine generates is 151Nm. The engine appears to be tuned for making steady progress as a lot of torque is available lower in the rev range. In our short drive, we even managed to pull (slowly) from 25kmph in sixth gear! The old Verna faced quite a flak for its loose dynamics, and as a countermeasure, the new Verna is based on the K2 platform with a new front and rear suspension setup. The new underpinning makes the Verna behave well around corners as the chassis largely remains flat, with slight body roll when you push it hard. The braking is linear, but the brake pedal is slightly on the firmer side. Just like the brake pedal, the Verna’s suspension is also more on the firmer side, does a good job in absorbing road uncertainties. While the ride was never an issue with the Verna, it was high-speed stability. And the firmer suspension setup, together with the new platform, has managed to iron out the issue. Importantly, the steering is now quite direct and communicative. The top-end Verna gets everything from navigation support to smartphone connectivity functions like Android Auto, Apple CarPlay and MirrorLink. Hyundai has also added a sunroof to the package, which apparently is one of the most sought after features. Segment-first features include cooled front seats and hands-free boot lid, which opens if you stand within three feet from it for over three seconds with the key in your pocket. Dual front airbags and ABS come standard, but for those who don’t want to compromise on safety, the top variant also gets six airbags. The petrol is priced Rs 7.99 lakh to Rs 12.23 lakh, while the diesel is priced Rs 9.19 lakh to Rs 12.61 lakh (ex-showroom, Delhi), and these prices are only for the first 20,000 customers. Variant to variant, therefore, the Verna provides more value compared to rivals. It doesn’t have the best rear seats, but has the most powerful engines and its ride & handling is now at par with that of the City and Ciaz. If you love driving, the Verna should be your natural choice. On the styling front, the new Discovery Sport carries forward the exact same design as its previous generation. The Discovery Sport is a proper SUV with a rather intimidating stance. It loses the boxy design of the Freelander 2 while offering a more sporty look, inspired by its sibling, the Evoque. The front of the Discovery Sport offers a bold look which screams Land Rover. The smooth flowing bonnet, with the sleek honeycomb grille and the large badging over it, offers a clean look. The front fascia is further accentuated by the stunning LED DRLs that surround the projector headlamps.The design smoothly flows to the sides and the rear as well. The side profile of the luxury SUV offers a simple design (not that we are complaining), with a contrasting black roof. The rear perfectly coexists with the front, with a smoked tail lamp cluster having circular LED units. The rear carries the all-important ‘Discovery Sport’ badge on top of the registration plate.The rear design is not as evolved as the front, however, it does grow on you over time. Overall, the Discovery Sport offers an intimidating stance, with a huge amount of road presence. One of the high points of the interior is space, providing room for six passengers and driver across three rows. Evaluating from the perspective of comfort, the first and second rows provide enough room, however the third row is suitable for kids aged below 13. Use of the material inside is top notch, splash of leather around dashboard, steering wheel and seat covers make the cabin upmarket. The linear dashboard design, fit, finish and uncluttered centre console collectively lends a neat look which works well for it.Comfort levels are high in the cabin, with the long list of features this HSE model adopts. The 10-speaker Meridian system for example brings out nuances in your music you’ll appreciate, as will you the 5V charging points through the cabin.. Visibility is excellent all around, the standard panoramic sunroof adding a dimension of airiness to the cabin, something that will hopefully help the passengers in the third row too. With the fold out seats set on the floor with little space for your feet, your knees end up in your chin. It is versatile though, since the second row can be moved fore and aft too. Back to the Discovery Sport and the 2-litre turbo petrol under its hood. It’s sourced from Ford under the two companies’ agreement that runs till 2020. In fact, news has already surfaced that JLR will introduce a new 2-litre twin scroll turbo petrol to the Ingenium family of engines, which will eventually find its way into the Evoque and Discovery Sport. The one powering the car currently has healthy power figures at 238bhp and 340Nm of torque, that peaks at a low, diesel-like 1,750rpm.Smooth at idle, this engine hustles the Disco up to triple digit speeds pretty effortlessly but it does sound a bit gruff mid-way through the rev range, at least on the model we had. With 90bhp more than the diesel Disco, the 0-100kmph dash is a full two seconds faster. The 9-speed torque converter auto box seems to have a good spread of ratios, obviously, keeping the engine in the meat of the torque during our driving in the city. Mashing the pedal does result in the box floundering before finding you a gear several ratios down but then again not many owners are going to be doing so. Being gentle with inputs gets you a single downshift and a linear spread of power, more than enough to pull off overtakes without breaking a sweat. It does come with two gearbox modes, D being the regular and S being the fun one. 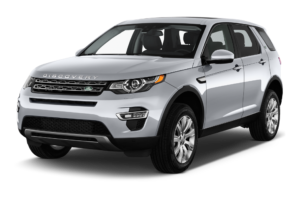 The Land Rover Discovery Sport offers excellent ride and handling characteristics. The firm suspension setup of the SUV provides a planted ride for the passengers. The Discovery Sport still has a slight amount of body roll while taking corners but doesn’t take away the overall confidence while driving. The steering feels nicely weighted at high speeds and offers ample feedback to the driver.The SUV is quite a capable off-roader just like any other Land Rover product. The Terrain Management System offers four modes: General Driving, Snow/Grass, Mud & Ruts and Sand; each helping the Discovery Sport on any tricky terrain condition. The high ground clearance 200mm and the large 19-inch wheels offer additional help. Though the firm suspension provides impressive handling characteristics, it does feel a bit harsh on rough roads. The car easily absorbs all the regular road undulations although the larger ones could be a bit of a concern. In the city and on the highway though, the car is absolutely comfortable to drive. The good visibility through the large windows, along with the parking assist functions, make the car easy to park in tight spaces. To buy or not to buy, that’s the question. Let’s consider a few things first. With all the updates, the Range Rover Sport is now everything that you’d expect from a present-day luxury SUV. Loaded with tech, it’s in line with the rest of the line-up. It’s refined and comfortable, and there’s almost nothing that the Sport doesn’t offer. The Range Rover Sport is truly a multipurpose vehicle. It has the makings of an ideal grand tourer, with unparalleled off-roading capabilities. In simple terms, the Range Rover Sport is for those adventurous souls who wouldn’t mind taking a Rs 1.30 crore (ex-showroom) car off-road. If you don’t consider yourself to be that adventurous, then, well, you’ve got your answer, and you’re better off spending a little bit less on the uber-cool Velar. Hyundai designs its cars brilliantly and the Grand i10 is no different. The Grand i10 follows Hyundai’s elegant Fluidic design language strictly. The car looks beautiful, elegant and premium than any other car in its segment. The Grand i10 matches the design of its bigger cousin Hyundai i20 closely but is more compact than i20. The Grand, as the company likes to call it, is focused on the youth of the country and it does not disappoint. The elegant-looking vehicle has sculptured bodylines, which makes the car very soothing to look at. The subtle crease, which starts just before the front door and connects to the tail lamps, makes the car elegant while the strong-shaped crease on the bottom of the front and rear doors makes the car look very aggressive. Following the Hyundai design language, Grand i10 gets sweeping headlamps, making the front fascia very strong. The fog lamps have been placed very conveniently in the especially-designed dams with black inserts to give it a manly look. The Grand i10 also gets roof rails in the mid and top variants, which adds to the sporty look. The Grand i10 looks very sporty and the rear spoiler makes things even better. Premium as it can get, Hyundai also offers optional diamond-cut alloy wheels on the top-of-the-line Asta variant and Sportz(O) AT. The Magna and Sportz variants get full size wheel covers, while the base Era model gets just the steel rims. Hyundai has also made a point by equipping body coloured bumpers with all variants. The base model misses out on body-coloured door handles, tail gate and mirrors. Hyundai has made a lot of things exclusive to the top-end variants. The micro roof antenna does not come checked with the base Era model. The Sportz and Asta models get the chrome dipped outside door handles for a premium look. The waist-line moulding, which saves the car from a lot of scratches, is also missing out from the base Era, Magna and Sportz models. The sporty-looking roof rails come as standard only with the Sportz and Asta models. The premium-looking indicators on the outside rear view mirrors also come as standard only with the Sportz and Asta models. Hyundai has made the Grand i10 brilliant but a lot of things are yet missing on the lower variants. Step inside and the cabin has an airy and premium feel. Be it the seat covers, plastic trim on the dashboard or doors, the buttons and even the touchscreen operation – everything has a feel-good factor. Hyundai has not altered the design inside; you still get the dual-tone theme, four large circular AC vents on the dashboard, a deep-set instrument cluster, a three-spoke steering wheel with large multi-function buttons and the high-mounted gear-shift lever. The centre console still sticks out a bit like before but now gets two new additions – a large 7.0-inch touchscreen display and a fully-automatic climate control console. While the screen is well integrated, the buttons around it seem to have been designed in a hurry and do not have the same feel as the buttons of the previous non-touch infotainment system. The climate control console is a welcome addition and brings the car up to date with its rivals. The front seats are comfortable; the cushioning is neither hard nor soft. In fact, the seats are slightly contoured to give passengers a snug feeling. The driver seat is adjustable for height too. The only gripe are the integrated headrests – these look out of place in a cabin that is otherwise premium looking/feeling and also limit adjustability for shorter or taller passengers. Rear seat passengers will find that the Grand i10 is best used as a two seater for a comfortable trip. Though the cabin is wide enough to accommodate three passengers, a slightly raised centre tunnel and the rear AC vent console curb room for the centre passenger. The unavailability of a headrest (the other two passengers get adjustable ones) and a lap-belt (three-point units for the other two) make it a less safer position to be in too. The legroom, knee-room are adequate enough for passengers even with 6-footers occupying the front seats – though it is not class-leading. Tall passengers will find no reason to complain about the headroom. The rear bench can be folded down, but cannot be split-folded – this does reduce convenience slightly. The luggage compartment has a 256-litre capacity which is unchanged from before – it is 5 litres more than the Ignis to remain the largest in the segment. The Grand i10 offers both petrol and diesel as a choice for motive force. The petrol engine here is the 1.2-litre KAPPA mill which has really proved itself a worthy choice for quite some time in both the i20 and the older i10. The most exciting thing under the hood though is a brand new cutting-edge 1.1-litre U2 diesel engine. It might only have three cylinders, but this state-of-the-art motor produces 71PS of power at 4,000rpm and 160Nm of peak torque coming it between 1,500 and 2,750rpm. What strikes you most about this engine is just how refined it can be. A small amount of rumble does creep into the cabin at idle rpm, but that is to be expected from a car in this segment. Performance isn’t what you would call blistering, with the run to 100km/h from a standstill dispensed off in a fairly ponderous 17.5 seconds. At 150km/h, top speed too isn’t anything to write home about, but it’s pretty much at par with others in this segment. However it’s not about mere numbers and figures with this motor. The most impressive thing about this mill is its sheer drivability, even at fairly low engine speeds. It pretty much picks up in any gear and driving around even in extremely heavy traffic conditions is an absolute breeze. But in the higher range of the rpm spectrum, it does lose steam rather quickly. So not the ultimate engine for high-speed highway cruising. On the other hand, the clutch action is long, but quite light and the 5-speed manual gearbox is one of the slickest shifters we’ve seen in a long time. With a combination like that coupled with shortish ratios for the first three gears, the Grand i10 is at its absolute best in driving about in the urban jungle. Hyundai hasn’t just worked magic with the engine and gearbox though. What impressed us most was the work done on the suspension. Compared to other hatchbacks from the same company, the Grand i10 seems significantly better sprung. This setup is still fairly soft mind you, but through long undulations, the car doesn’t wallow at all and even if you show it some corners, the body roll, though present, feels extremely well controlled. So what you end up with is brilliant ride quality over even the most broken of roads without the suspension feeling wishy-washy in any way. In fact, even when you take the Grand all the way up to its top speed on a wide open highway, the car feels extremely well settled even without carrying a full complement of occupants. Brakes too have good feel and bite and can bring the car to a dead stop from 80km/h in less than 30 metres. Honestly, you would have to be extremely ham-fisted and lead-footed to find yourself in a hairy situation with this Grand. The Hyundai Grand i10 has a suspension tuned for city use; it is neither too soft nor too hard – it feels just right. The suspension always works noiselessly, letting in only the most harshest of bumps inside. The combination of suppleness and firmness means the ride is never uncomfortable. This combined with the low engine noise and vibrations makes the Grand i10’s cabin a good place to be in.The steering is light to use and combined with the tight turning radius makes the Grand i10 a usable city car. Out on the highway, the light steering does reduce your confidence – but the suspension and brakes (backed by ABS) work fine. Hyundai Grand i10 is a very affordable car and by all means is the best choice in its segment. The Grand i10 has a long list of features, which look very good and inviting on paper. The base model somehow misses out on few key things like ABS and passenger airbag. This mid-sized hatchback looks very pleasing to the eyes and comparatively looks better than most cars on the road. The Hyundai Grand i10 packs almost every feature needed in a car in a compact package. With the segment-first features, like the integrated memory, Hyundai has surely attracted many tech-savvy buyers towards the new model. The elegant-looking diamond-cut alloys make the car even more appealing. Important safety features, like the Anti-lock Braking System (ABS) and passenger front airbag, are missing in the standard list, and they come only as an option with higher variants. Hyundai has surely made a point on including all the features in the vehicle but not all are available with the Era or the Magna model. Even with the missing features, the Hyundai Grand i10 is a good choice in the segment and the sales figure of the car just puts concrete to our thoughts. The Mahindra Verito looks fresher than its eight-year-old design would suggest. There is an extra dash of something on the grille that Indians usually like chrome. It sits atop the bumper. Other parts including the sides and rear are identical to the conventional powered sedan. However, peek closely and you will find the electric Fast Charging port in a fetching silver and blue colour on the left front fender, along with a big blue decal screaming ‘Verito electric’. Similarly, at the rear, there is a green ‘e’ ahead of the Verito badge and an ‘Electric’ motif. Strip the car of the badges and the charging port, and you’re left with a regular Verito. The interior has also been spruced up quite a bit but more in a user friendly manner than anything else. The cabin was always a virtue of space and comfort, with very comfortable seats at both ends and with newer positioning of door grab handles and the switches for the window winders, the convenience aspect has been enhanced. The overall quality of the materials is also of a high order though I think that if practicality has to be of the essence the choice of lighter coloured upholstery needs to be rethought. However, this is a herd mentality situation for the OEMs and light beige bumps up the oomph quotient so maybe one is on thin ground here! The Mahindra Verito is powered by a 3-phase 72V induction motor that promises 30.5kW of power and 91Nm torque. A single-speed transmission transfers all this power to the front wheels. The 200Ah Li-ion battery in the car powers all the ancillary functions, including the music system, AC and headlamps. It also charges the 12V battery which is used for the start up. Starting the car is also an art in itself. You turn the key, but it doesn’t go all the way like in your conventional fuelled car. 15 seconds after turning the key, you hear a slight noise a subtle ding from the rear of the car, signalling that the car is ready now. After this audible cue, you have to press the drive button located on the lower right side of the dashboard. At this point, the car starts to creep forward. For further progress, select F on the gear lever and you start to move ahead at a reasonable pace. For an additional boost, shift to the B mode which is the phase that we preferred to be in for the entire duration of my drive. In this mode, you get a slight boost. That being said, even in B mode, the driving experience is quite sedate and they wouldn’t really call it an electrifying. Mahindra Verito is a perfect option for those looking for a sedan that gives high performance along with appreciable mileage. The car looks pretty good in terms of design, style, and features though may seem a step back as compared to its close rivals. 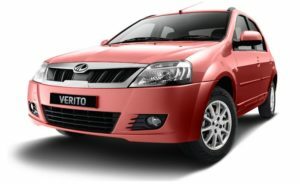 This Verito is aimed to the people who want the sedan experience for a hatch like price. The Verito is well priced that ensures true value for money. The top variant gets all the bells and whistles a premium car can get including the ABS & EBD. The wider wheelbase of the car offers ample space within the car cabin which has been used in quite an economical way. The front as well as rear seats offer plenty of leg, elbow, and shoulder room and carry a grand ability to accommodate five adults without a hitch. Apart from space, comfort features are in ample number and help giving an upmarket look but keeps cabin cozy and comfortable. Large office phone systems are the heart of any business industry; clients and employees must communicate effectively for the best sales possible. However, current phone technology offers so many different features and modules that it can be difficult to sort through the myriad of options. A few key considerations should be evaluated before deciding on a system; many sales can turn sour if a client feels uncomfortable with the level of communication and support through the phone system. The overall system should be user-friendly to callers. If a computer response must be used for incoming calls, the system should be configured to allow the caller to choose a particular extension or offer the option of listing extensions by employee name or department. However, there should always be a choice on all large office phone systems to speak to a receptionist; the human element provides an out for the caller if they cannot pinpoint the needed department. As a result, the receptionist will be fresh for callers needing help instead of routing hundreds of calls that can wear down the person’s genuine greeting throughout the day.Every phone system has dozens of features; a business should make sure that the basics are always included: caller ID, call waiting, and voice mail. Depending on the virtual phone service‘s manufacturer, the caller ID display should be programmable. Personnel should be able to add client names and phone numbers to the system so that they are immediately identified as an important caller. For example, an employee is on the phone with a colleague. The call waiting and caller ID alerts the employee that an important client is calling. As a result, the employee can communicate with the client, rather than missing the call altogether. Before deciding on one of the many large office phone systems, the business should make sure that they have an administrator to oversee the network. The installing phone company should train the administrator, as well as the employees, during the sales process, but day-to-day operations will be the responsibility of a phone administrator. Voice mail access problems and dropped calls may need to be troubleshot immediately to keep the day’s communication lines open.Does your business have a lot of international calls? Long distance charges with a local telephone provider can add up quickly and effectively wipe out any monthly profits. Luckily, modern technology has an alternative: VoIP. Voice over Internet protocol allows people to use an Internet connection for communicating throughout the world, rather than using the basic telephone wires strung across the world. As a result, long distance charges are removed from the monthly phone budget. 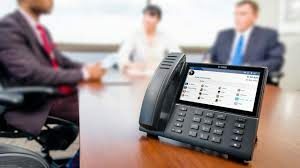 In addition, VoIP service is typically less expensive than local telephone access since physical wires do not need to be maintained by the phone entity. Another factor to large office phone systems is the installing and maintenance company’s treatment of their clients. A business does not simply hire a phone installer for a basic install and then never contact them again. In fact, your company will work with them a lot for hardware and software upgrades, as well as any repair issues that may arise. A good rule is to talk to other large businesses about their phone installation experiences; many times, you can find a good contractor by word of mouth.An effective installing company will listen to your business needs and implement the features that match well with the requests. They should offer initial training and periodic continuing information sessions; software and hardware updates should also match with another training period so users are familiar with the new modules or phone procedures. Lastly, business managers should verify warranty coverage for all hardware and software portions of the system to ensure a safety net if there is a major failure.In the end, each business should shop around for different quotes from a variety of vendors. Your best deal can be found when companies compete for your business. If you have a small business, it is a good idea to get a toll free number. It has been proven over and over that businesses receive far more calls from customers if a number is available to them. It is beneficial to snag one which spells out a term or phrase that is relevant to your business and is easy to remember. Prepaid toll free numbers are cheap to obtain and only charge a few cents per minute. They are also convenient – packages include a number of services such as caller ID, call blocking, conference calling, voicemail/fax mailboxes and call notification emails. Look around for the services you want and need from your phone. The Internet has been known to work wonders and this is a perfect example. Do a search for prepaid toll free numbers, see what comes up and go from there. Do not let your business go un-called and unnoticed; be sure your relatives reach you anytime. Just make sure that the site is legit, read the fine print, and find the best price package that fits your needs. Keep an eye on both the monthly fees and the per-minute fees. Prepaid toll free numbers are a popular option. These plans charge a small monthly “maintenance fee” usually one or two dollars. Then, you just pay for the minutes used each month. Per-minute rates range from about 3.9 cents to 9.9 cents. 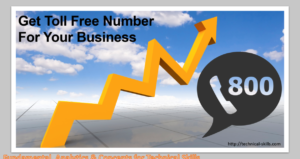 Regardless of the services you chooseBusiness Management Articles, having your own toll free number certainly increase your profits. The 2017 Nissan Micra Active now comes in new sunshine orange shade that was previously seen in the regular model. In terms of design, the 2017 Micra Active largely retains most of its traits in the front and side profiles. The only addition is the ‘follow me headlamps’ that remain on for a certain duration. The rear profile gets an update in the form of new combination lamps and sportier bumper, making it look comparatively better than the previous iteration. Also, it borrows heavily from the Renault Pulse hatchback. The 2017 Micra doesn’t get any substantial updates in the exterior design. Interior styling is similar to the pre-facelift version of Micra armed with basic features found in other hatchbacks in the segment Cabin is equipped with power tilt steering, manual AC, power windows in front & rear, remote keyless entry, internally adjustable ORVM, adjustable headrest, 2 bottle holders, 3 cup holders, gear shift indicator and 12V power outlet. The engine on the Micra Active is the same 1.2-litre petrol, but due to lesser weight the fuel efficiency of the Micra Active is higher than that on the regular Micra. It is equipped with a 1.2-litre petrol engine, which has a potential to displace of about 1198cc. It has three cylinders and twelve valves, which are based on a dual overhead camshaft valve configuration. It has a capacity to generate a maximum power of 67.06bhp at 5000rpm and can generate a peak torque output of 104Nm at 4000rpm. It is mated with a five speed manual transmission gear box, which enables smoother gear shifts and aids in delivering a flawless performance. It has an electronic fuel injection supply system and can squeeze a mileage of 19.49 Kmpl, when driven under standard conditions. Nissan has worked on the fuel efficiency of the Micra Active and it has a better figure than that of the Micra, as it lighter. This hatchback model series is equipped with a reliable mill. It is capable of delivering a mileage of about 19.49 Kmpl on freeways. It is achievable due to its engine being associated with an electronic fuel injection supply system. If driven within the city, its fuel economy could drop down to 16-17 Kmpl, under standard driving conditions. 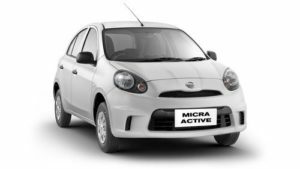 The power of the Micra Active is similar to that of the Micra, however the Micra Active is lighter, so the outright performance will be better.Its proficient petrol mill is equipped with three cylinders, which further have a total of twelve valves. This is in sync with a dual overhead camshaft based valve system. It has a potential to produce a maximum power of 67.1bhp at 5000rpm and can generate a peak torque output of 104Nm at 4000rpm. The Petrol engine with an Electronic Fuel Injection Control System, has the ability to generate about 66.64bhp of maximum power output at 5000rpm and maximum torque of 104Nm at 4000rpm, which is incredible for harsh traffic conditions. It comes with a 5-speed manual transmission, which allows smooth gear shift for city drives.Acceleration of the Petrol-based Micra Active is superior as compared to that of Nissan Micra’s Petrol version. The crosses the 100kmph mark from standstill in about 13 seconds. Its top speed is in the range of 150 to 160 kmph, which is quite impressive.